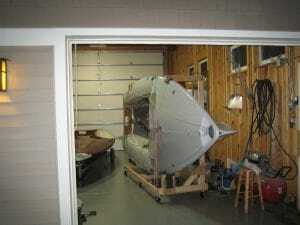 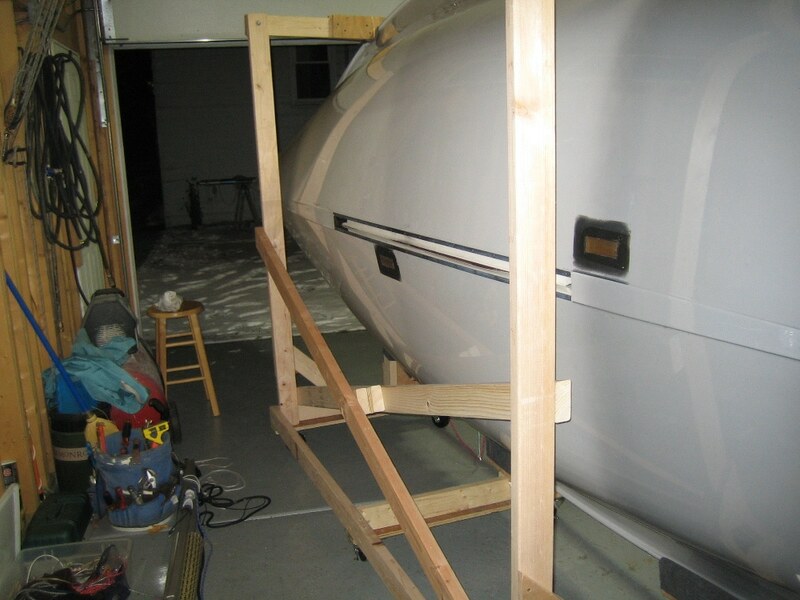 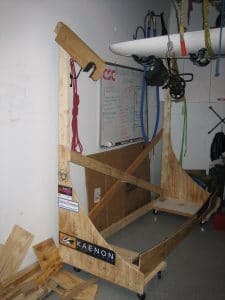 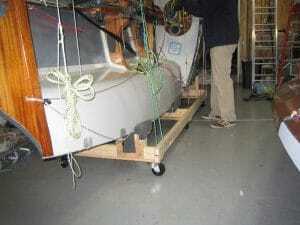 A vertical workshop dolly is a very handy rigging tool that allows a boat to be stored on its side without having to put the mast up. 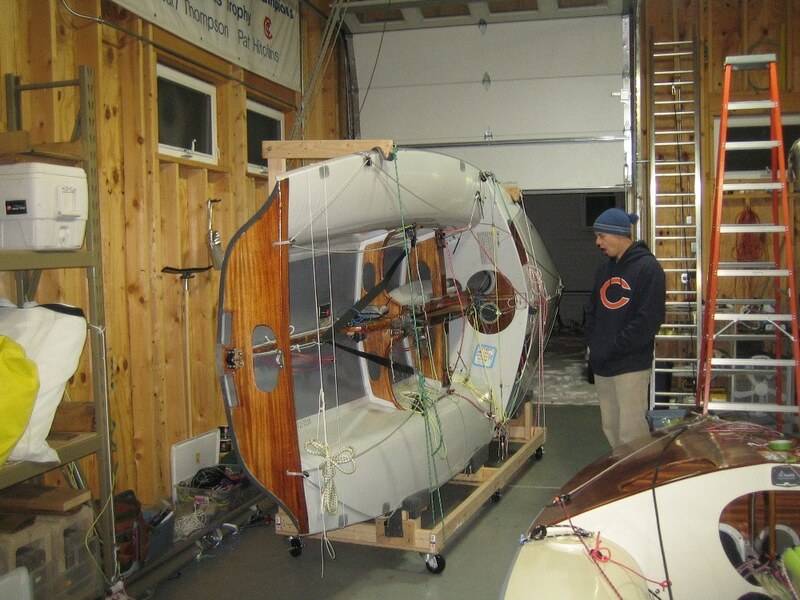 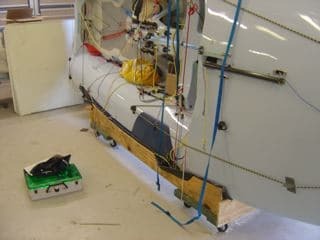 This dolly makes it very easy to access rigging in the center of the boat and allows the centerboard and rudder to be worked on. 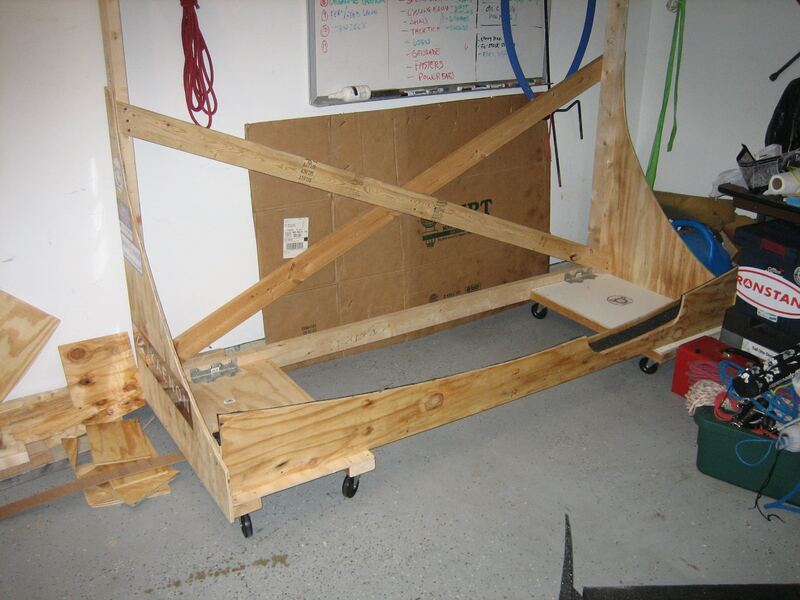 Here is a diagram with some rough dimensions that Jesse Falsone has kindly provided. 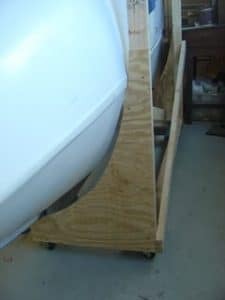 Keep in mind that it is very beneficial to design your dolly so that the centerboard can be fully extended and will not interfere with the uprights. Another advantage that none of these three examples accomplish is being able to rest the boat on either the port or the starboard rail (if you have pictures of one that does, please email the Webmaster).